We have carefully selected this model for hire rental because it meets the high level of specification, quality and comfort our customers have come to expect when they hire from us. 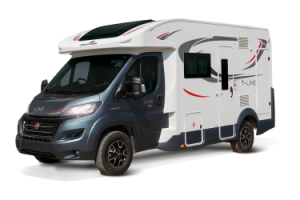 Based on the Fiat Ducato 35, 130hp turbo diesel with 6-speed manual gearbox, cruise control, cab air conditioning & traction control all add to the smooth car-like driving experience. 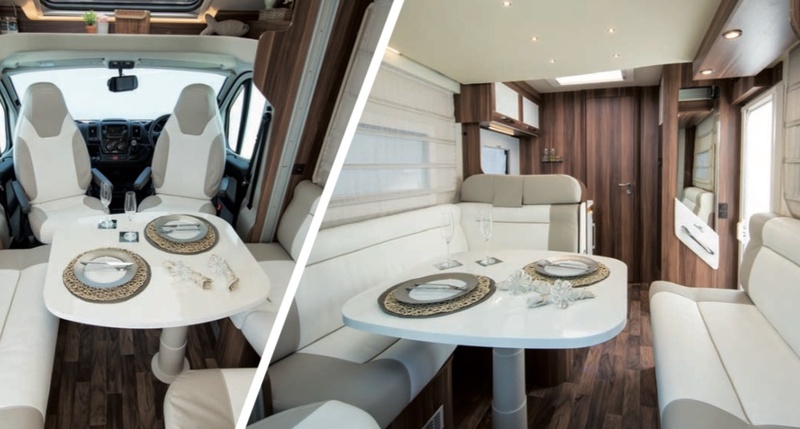 For additional ease and comfort the high specification now includes stylish alloy wheels, Solar panel, colour reversing camera and the latest radio with built-in TomTom SAT/NAV & Bluetooth phone connection. 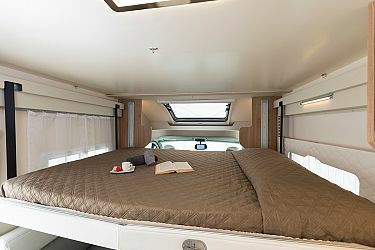 Designed on a chassis that is only 6 metres long yet still offers travel and sleeping for up to 4 adults.